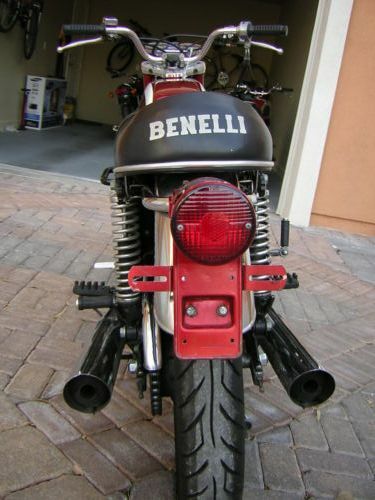 The Bennelli name is not as widespread in the United States as other Italians. That is of course if you don’t know the connection between Montgomery Ward and Bennelli. In the days of mail order catalogs, the huge company that was Montgomery Wards offered a small, re-badged Bennelli for America. This Bennelli Tornado offered up on eBay is not that kind of Bennelli. First year Tornado with the huge Grimeca double twin leading shoe hub, original unrestored low mileage motorcycle. This has the old style Italian tank, much more aesthetically pleasing than the “modern” tanks that followed. This bike is sold with Canadian registration and import papers. 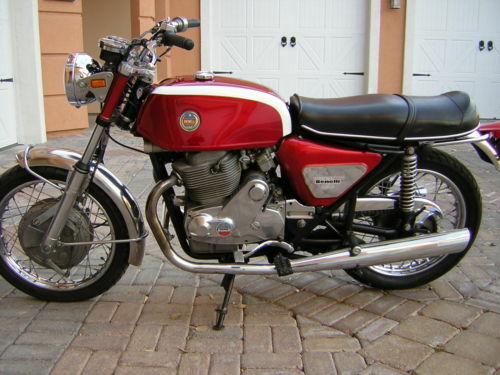 Very few of these bikes were sold in America and even fewer survive today. This bike runs very well, shifts well and of course stops well. 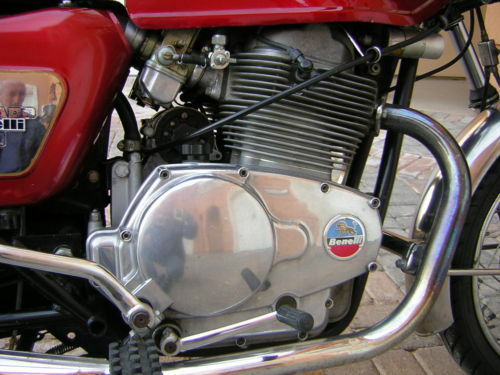 This Italian has a 642cc of hugely over square 84mm by 58mm engine. Its two 29mm VHB Dell’ortos, the 8.0:1 CR create 52hp at 7200rpm. But what road tests of the period are leading me to believe is that 7200rpm is a long way from the usable power this bike generated. 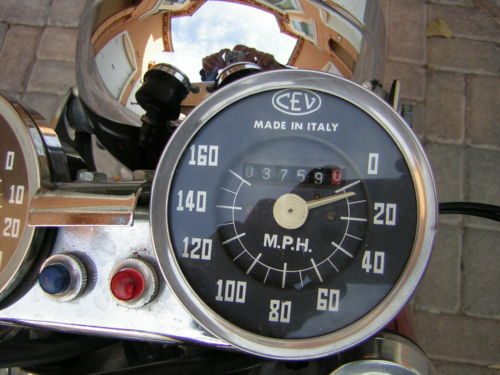 The large bore and inertia created by the stout engine (the complete bike weighs in at 407lbs) create a very un-Italian like ride. Stable at high speed appear not by design, but by weight. 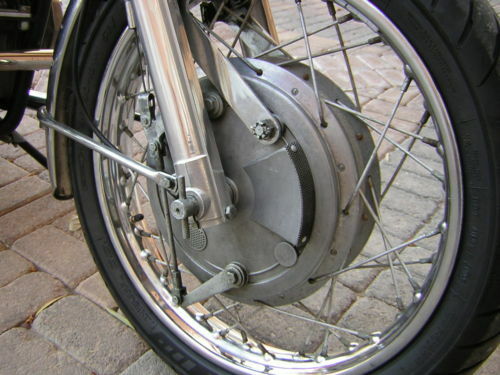 As the seller points out the Grimeca four leading shoe brake is the highlight of this sale. It may not be the lightest weight front brake, but with four pads working for you, it is a bonus. Bennelli started out in 1911 as a repair shop, started by the mother of 6 boys hoping it would keep them out of trouble. By 1920 they had build there own machine, and of course they took it racing. They did well. Then the there was war, and more war, and then the Japanese entering into motorcycle production, and the previously mentions mail order motorcycles.